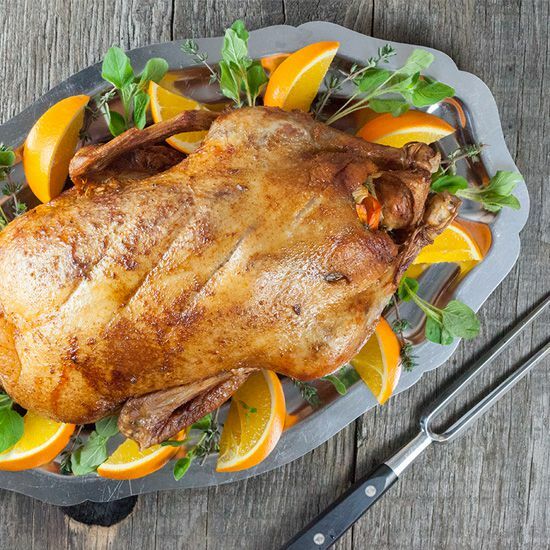 This roasted whole duck can be the center piece of your Christmas dinner table! Filled with delicious vegetables, recipe for 4 people. PEEL the carrots using the vegetable peeler. WASH the carrots and celery, then slice into smaller pieces. SLICE the vegetables not too large to make stuffing the duck easier. PEEL the cloves of garlic, onions and red onions and slice into chunks. PRE-HEAT the oven to a temperature of 180 degrees celsius or 350 degrees fahrenheit. MIX the smoked paprika powder with some salt and pepper in a small bowl. PAT the duck dry with sheets of paper kitchen towel, then sprinkle the herb mixture on the outside as well the inside of the duck. 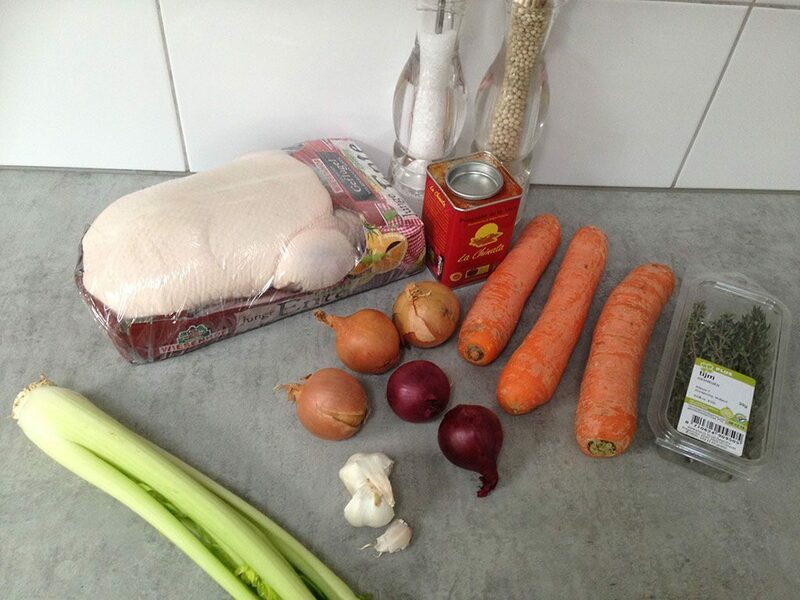 FILL the duck with cloves of garlic, thyme, carrots, onions and celery. TIE the feet of the duck together using kitchen rope, to prevent the filling from falling out. PLACE the stuffed duck on top of the oven rack and place the oven tray underneath it to catch the duck fat while baking. BAKE the duck rosé in less than 1.5 hours. BASTE the duck every now and then with the collected duck fat. THE internal temperature of the duck should be 53 degrees celsius or 127 degrees fahrenheit. 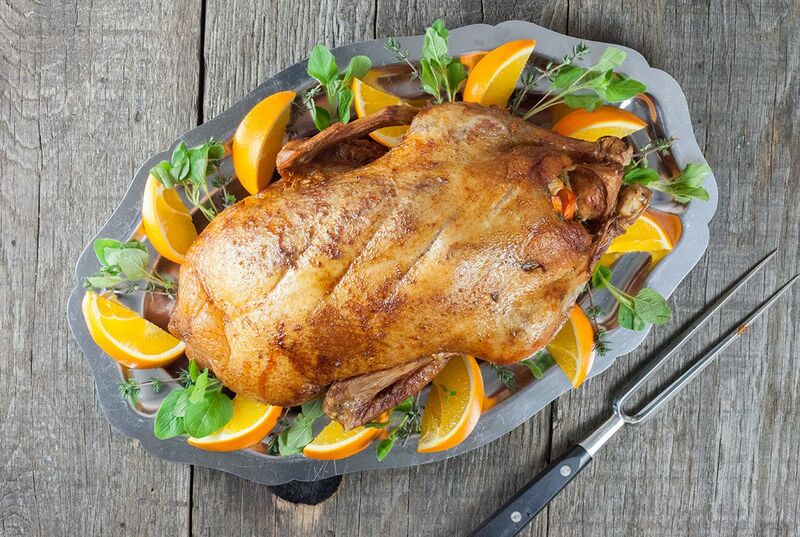 PLACE the duck on the serving platter and garnish with orange quarters and sprigs of thyme (and/or herb of chosing). 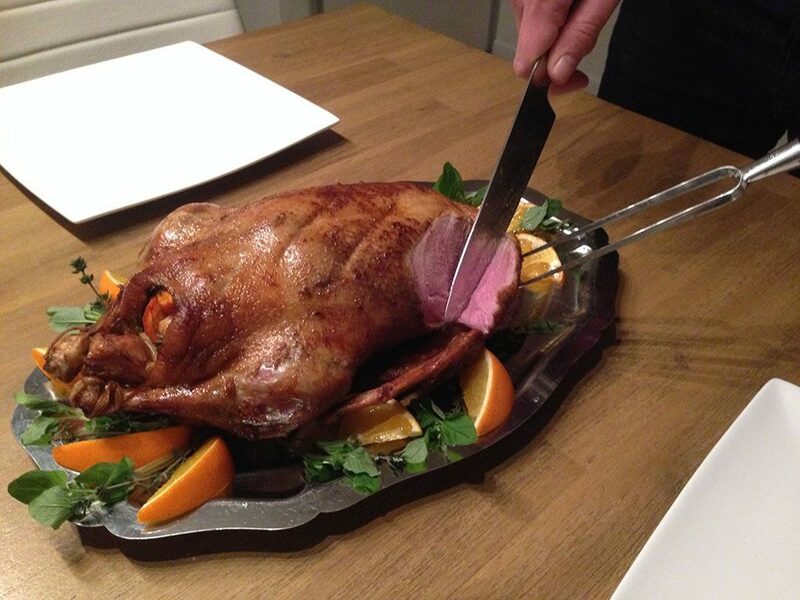 SLICE the duck using a sharp knife and a meat fork. Serve with for example pommes duchesse along with the stuffing of the duck. Roasted duck is on this year’s Christmas menu. Yours looks lovely. It’s astonishing how easy it can be to prepare a whole duck!